Timed circuits really are underrated – it’s such a simple, time-efficient way to work out! You always know how long a workout is going to take and psychologically that’s really important, particularly if you’re new to exercise or just getting back into it after some time away. So there you have it, try to sneak this one in at least once this week. You won’t regret it! 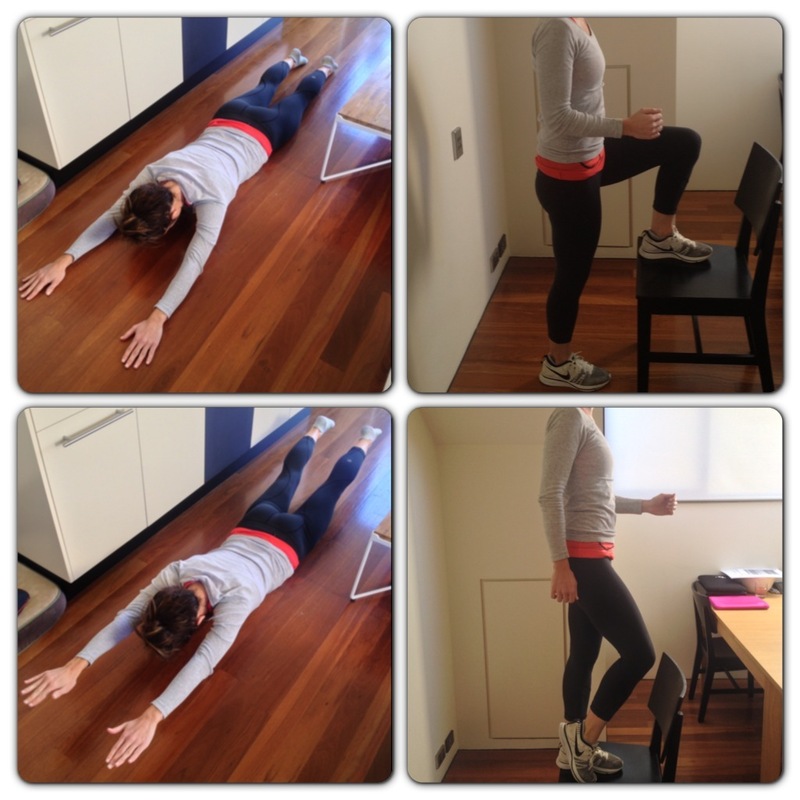 Step ups – find a stable step/bench and place your right foot entirely on the step. Drive through your right heel and step up, touching your left foot to the step. Lower your left foot back to the ground (in a controlled manner) and repeat. Your right leg should stay on the step the whole time. Push ups with pulse – every second push up should be a pulse at the bottom of the exercise. Supermans – lie face down on the floor with arms stretched above your head and legs stretched out. Engage your core and lift legs and arms, hold for one second and lower back down. Get-down burpees – as per regular burpees but drop yourself all the way to the ground. OMG puppy cuddles I almost died! So cute.